Enjoying a tour of the top wineries and vineyards of Bordeaux and the Gironde region offers a spectacular experiences unlike any other in France. Not only does a Bordeaux tour provide the very best tastes of what the river, climate and soil has produced since ancient times, but it also offers an extraordinary culmination of the best in architecture that certainly attests to the wealth of wine production within the area. With more than 120,000 regional hectares of vineyards and wineries, there is something for every connoisseur and wine geek to discover. From sweet, dry and extra dry wines, getting a taste of Bordeaux means obtaining the very best in both high quality wines and affordable table wines. Delving into a Bordeaux tour means tasting high ranking wines, including La Fite Rothschild, Margaux, Haut Brion, Latour, and Mounton Rothschild. It also means visiting some of the top left bank and right bank vineyards of Saint Estephe, Saint Julien, Saint Emilion, Pomerol and Graves. 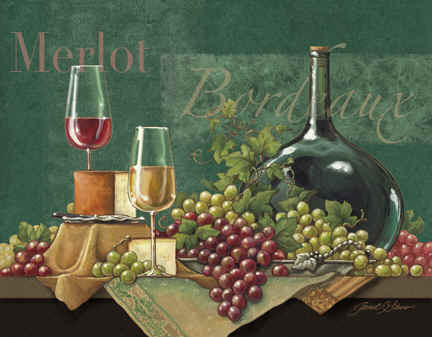 Whether its the taste of red wine distinctions such as Cabernet Franc, Merlot or the best in Cabernet Sauvignon, Bordeaux tours offers the best in cultural dining and wine tasting. These tours provide the full experience of wine discovery from harvest to glass. Those that love the white wine distinctions will enjoy tasting and learning about the grapes that help create Semillon, Muscadelle and Sauvignon Blanc. Although there are hundreds of variables, distinctions and appellations utilized under today's wine growers terminology, Bordeaux tours will allow the traveler to discover the organization of wine that dates back to 1757 with the simplest of viticulture terms. Furthermore, visiting Bordeaux vineyards and wineries will help the traveler to discover the exceptional wide varieties of vintage notes. From complex and robust young wines to jammy vintage wines that have reached their peak with round and well-balanced offerings, wine tasting in this internationally known region will mix well with the best of cheeses, pastries and the delight of Bordeaux cuisine. There is nothing like stepping on the historic grounds of Chateaux Beychevelle, Chateaux Palmer, Chateaux Coulon Laurensac, Chateaux Carbonnieux or the recently renovated Chateaux Clarke to discover exquisite gardens, architecture and new friends from around the world. The immaculate grounds and elegant tasting rooms of Chateaux de Reignac, Chateaux Angelus, Chateaux Canon, Chateaux Rauzan-Segla, Chateaux de Malle and Chateaux Figeac all offer the distinctive flavor of France architecture, affluent living and the tastes of the best wine in the country. The Bordeaux Ancient Wine Route leaves nothing to be desired for the wine lover. You can read more about the best in accommodations and self-catering cottages, wine accessories and gifts, farewell dining and much more, Bordeaux tours are the best way to enjoy the history and creation of fine wines.